You know one of the problems of being a moderately myopic man in his mid 40s? 3) Go for a lasik operation to correct your vision (something which I’m squeamish about). While I am not a regular contact lens wearer – the last pair I wore was almost 20 years ago when I was studying in the university – I was always under the impression that they are only suitable for those with myopia. 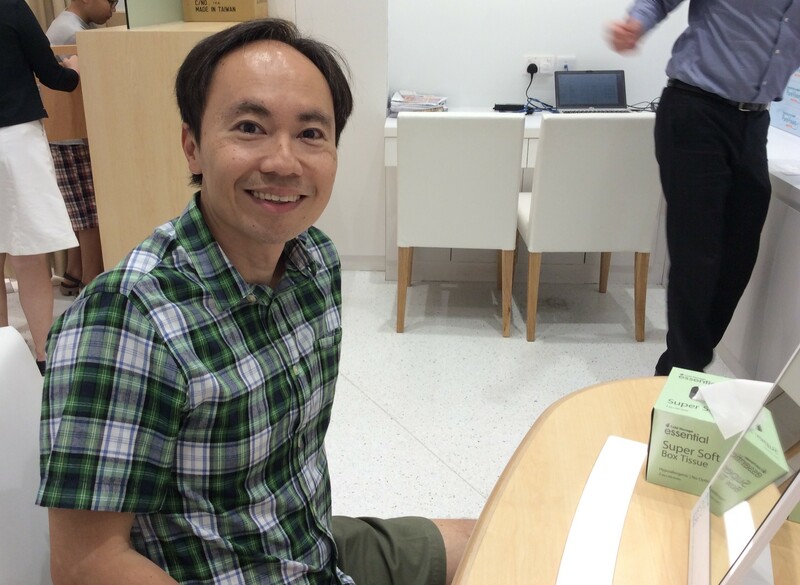 Started in Japan 35 years ago, Hirocon is the first shop in Singapore specialising in the sales of contact lenses. 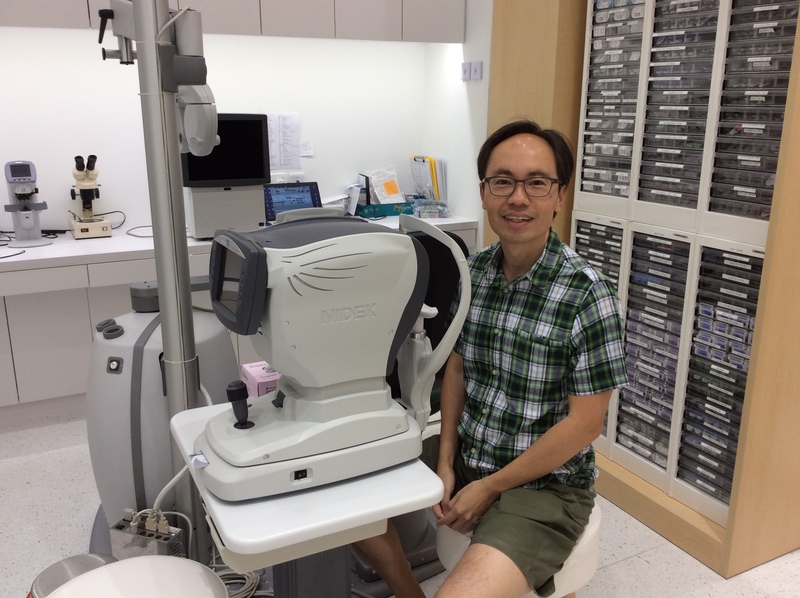 They are staffed by a team of optometrists who conduct a thorough clinical eye test to ensure that they deliver the best primary eye care to customers. Situated at Orchard Gateway, Hirocon’s professionally trained staffs are also well trained in the art of Japanese hospitality to sensitively manage your unique visual needs. I guess this is especially important for middle-aged folks like me! 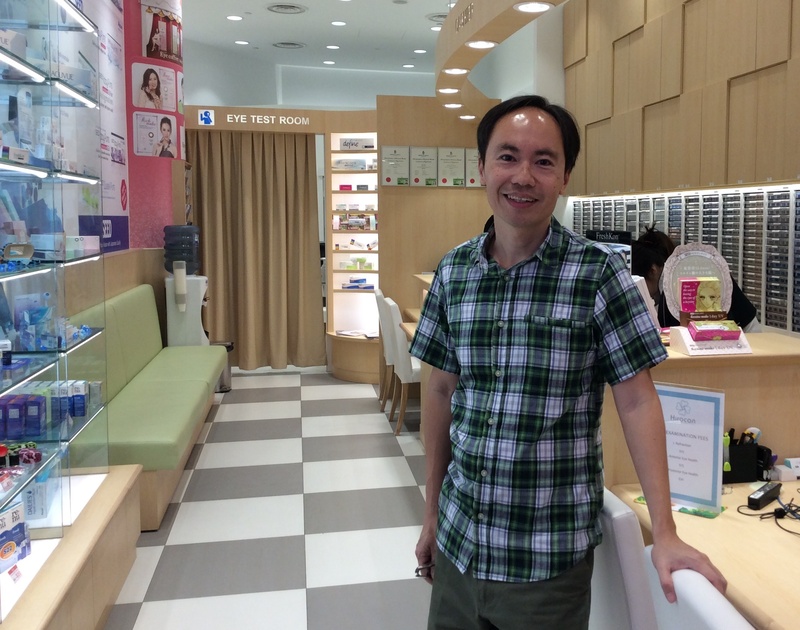 As a contact lens specialist, Hirocon also has the widest-range of contact lenses in-store in Singapore. Virtually every brand imaginable can be found at their outlet. They also specialise in lenses for different eye conditions and purposes – from myopia, astigmatism, presbyopia to cosmetic coloured lenses. With such a wide range of stock, your chances of getting a pair of contact lens within the very same day of visit increases significantly. This is great news for busy folks who are always in a hurry – like me! Like I’ve mentioned above, Hirocon places great emphasis on providing the highest standards of eye care. This is done through the use of state-of-the-art instruments and continual staff education. As part of their services, their optometrist will conduct a thorough and careful evaluation of your eyes. Special care is taken to check that the health and function of your eyes are tested. This is very important as the eyes are probably one of the most important sensory organs in your body. 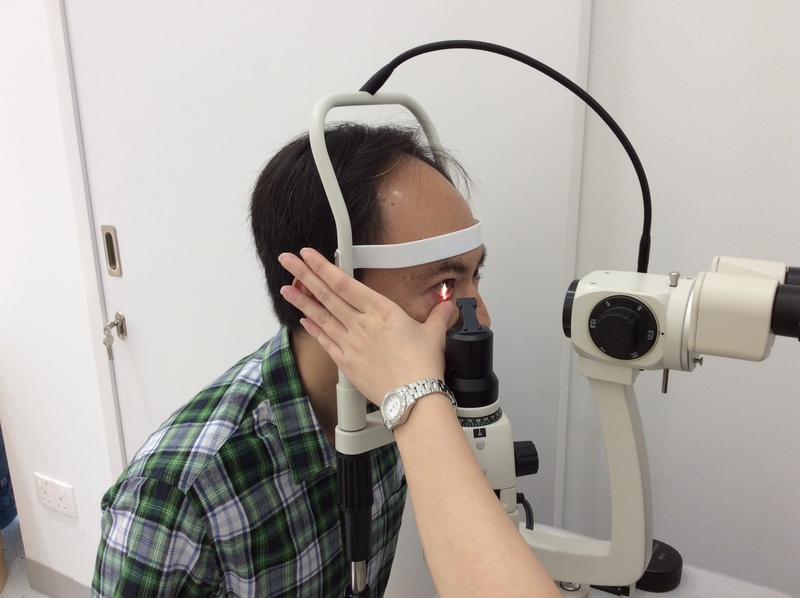 Using specialised eye screening equipment, Hirocon’s optometrists can routinely diagnose various ocular conditions such as dry eye syndrome, diabetic retinopathy, macular degeneration, conjunctivitis (pink eye), cataract, keratoconus, styles and chalazia. These are all done prior to prescribing appropriate lenses to customers. As part of my trial, I had the opportunity to try on the contact lenses provided by Coopervision, one of the world’s leading manufacturers of soft contact lenses and related products and services. What’s unique about Coopervision is that they have this range of multifocal contact lenses that are specially suited for folks age 40 to 45 like me. With the CooperVision Proclear® 1 day multifocal contact lenses, I should be able to enjoy clear vision without glasses, whether reading a Facebook update on my iPhone, working on my laptop, or looking out for the correct bus number in the distance. Since these are daily contact lenses, I would get a fresh new pair each day. This is certainly important to me, since my eyes are prone to dryness. Proclear lenses incorporate phosphorylcholine (PC) which makes them naturally biocompatible. The lenses stay hydrated which help them feel moist and comfortable all day long. PC Technology also equips the lens with a more deposit resistant surface, thus reducing the risk of lens irritation. So how was my experience like? Well, let me bring you on a pictorial journey. 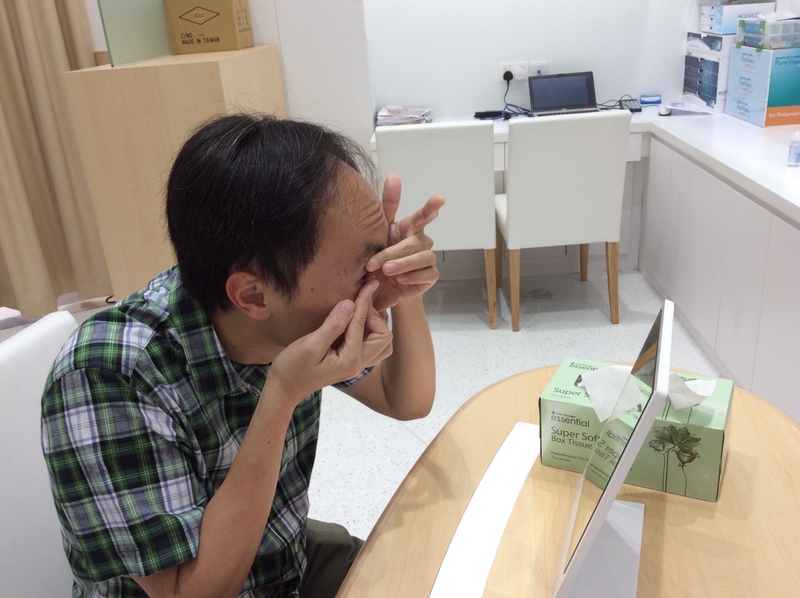 The first thing customers need to do is to undergo a comprehensive eye test. 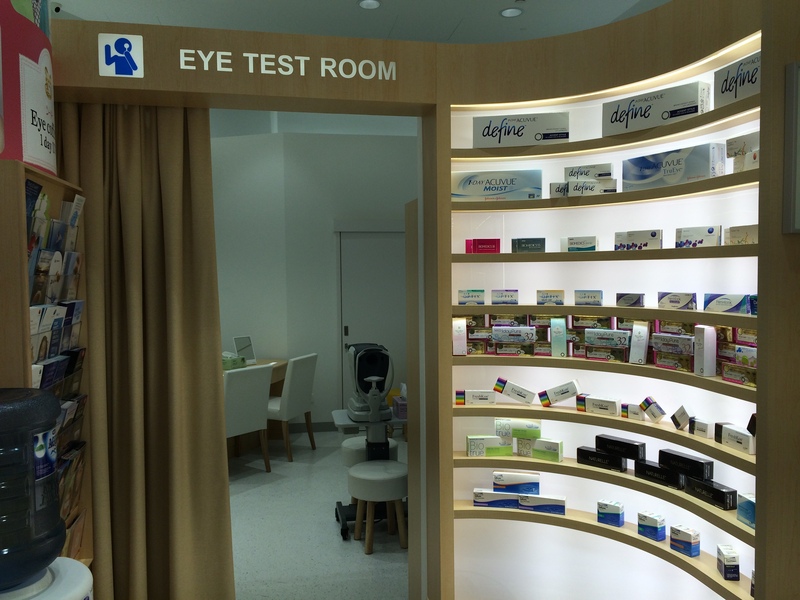 Here, you can see that a modesty curtain shields you from the prying eyes of the public with this eye test room. A photo of me sitting in front of an eye-testing equipment. I guess most of us speckies would be familiar with this ocular contraption. Let’s take a closer look. A closer view of the eye of Sauron…I mean Walter. I’m not quite sure what the concentric circular lines mean, but from what the optometrist said (or didn’t say), there isn’t anything seriously wrong with my eyes. 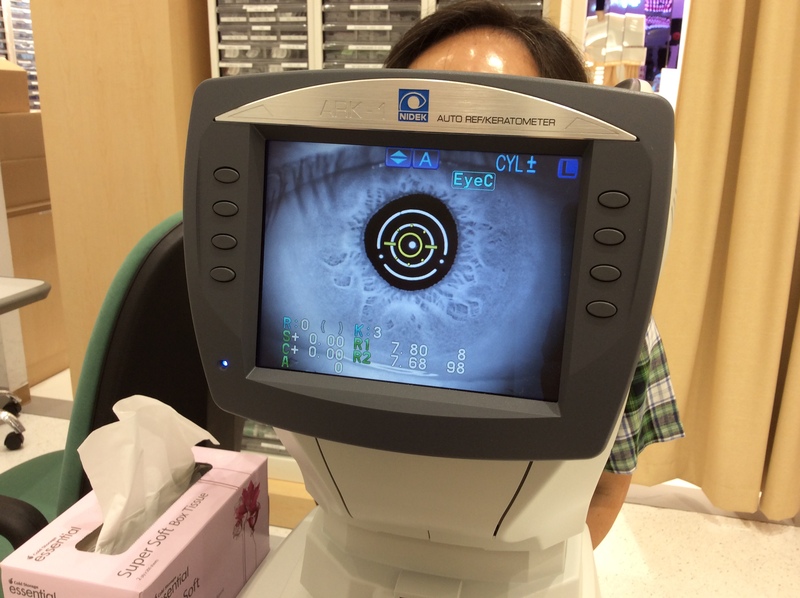 Next, we have the cornea scan to check for the health of your corneas. This ensures that they are not irregularly shaped or have any defects which could affect the wearing of contact lenses. The cornea is a transparent layer of tissue that helps to refract (or bend) light coming in at an angle so that clear images can be perceived on your retina. The retina will then send visual signals to your brain and voila! Yeah I’m a #ScienceGeek over and above being a #GeekMarketer. 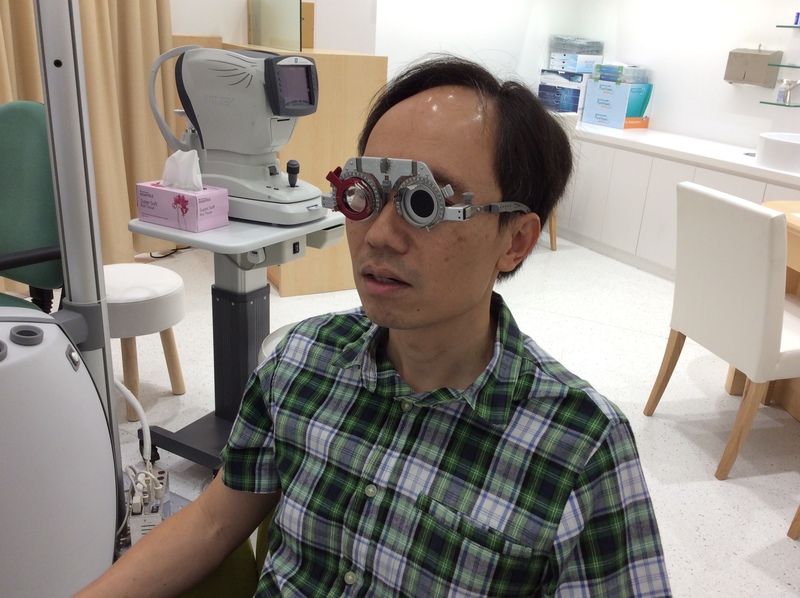 Next, I was fitted with these steampunk inspired circular glasses to determine the right degree for both eyes. Images and words in red and green were flashed before my eyes while different degree glasses were fitted to ensure that the best fit was provided. Now that I’ve done the eye tests, the time has come for me to try out the lenses. Here’s a close-up view of the CooperVision Proclear 1 day multifocal lenses. Each box comes with 30 daily disposable contact lenses. Note that you would need two boxes (ie 60 lenses) for both eyes to last a month. 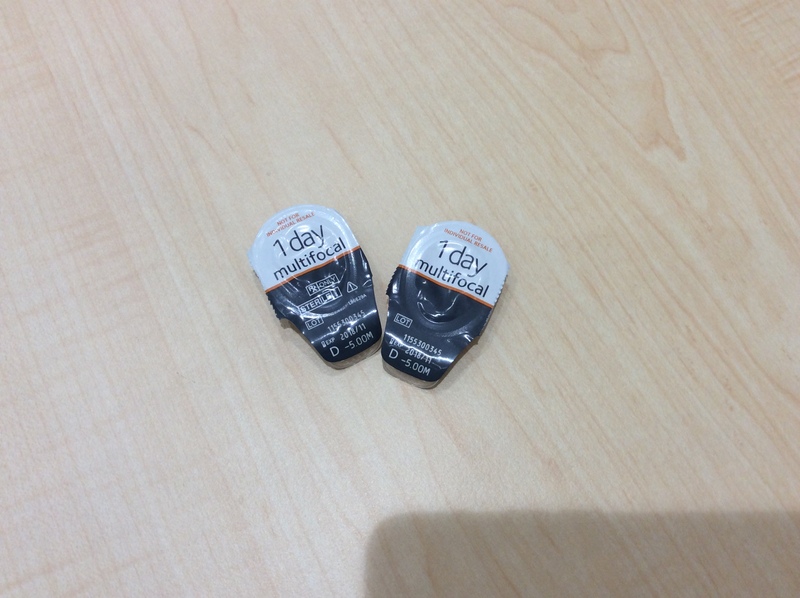 Here’s how the daily wear lenses look, each in their own hygienically sealed container. I took quite a while trying to fit them, having not done so for more than two decades. Thankfully, the optometrist was quite patient throughout the procedure. Tada! Here I am without my usual glasses. I must say that initially, it took a while to get used to it. After some time, however, it felt quite natural. While my vision for near objects aren’t as good as looking at them with my naked eye (which is expected as these are contact lenses), I can still see well enough to use my smartphone. 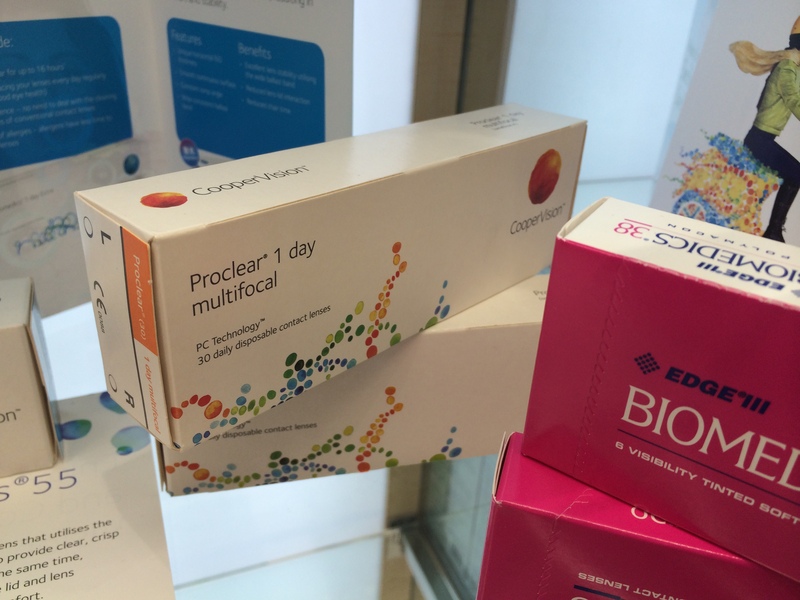 Keen to try out a new pair of contact lenses? Go check out Hirocon today.